Make the most of your PPC strategy with strategic Google Adwords management by experienced professionals. Since the inception of Google Adwords , Pay-Per Click has become one of the most popular tools for businesses who want to quickly connect with the target audience. Getting the maximum ROI from PPC Management Service In Delhi NCR, however, is a big challenge. Being the top PPC Management Service Providers In India, our experts have in-depth knowledge of this intricate science, which is why we can assure you with maximum conversions at the minimum cost. Whether you a targeting a specific niche of audience or promoting your products in the global market, you can count on Pay Per Click Marketing Services In Delhi NCR. 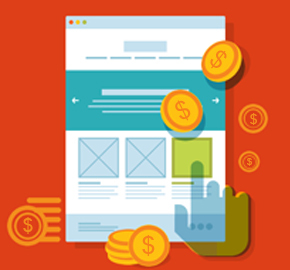 Our skilled and experienced PPC experts help you to get the maximum return. Our excellent approach, combined with a team of professionals who want to exceed the expectation of clients, helps us to deliver excellent results and ROI, in spite of any obstacles or challenges involved in your PPC campaign. In the very initial phase, in case if you don’t have, our experts can set your Google Adwords account. Next, we quickly do a comprehensive analysis to learn about the competitor’s strategies. We do an in-depth research to find out the most-searched keywords for your business. Based on the result of the last two stages, our experts create a course of action for your business campaign. Creating engaging and appealing advertisements to promote your business. Hiring a team of exceptional designers to create customized landing pages targeting various keywords. Tracking the conversions, CTR, and all the top elements of your PPC campaign. Sending regular reports with details of the PPC campaign.